Xu Lin, a trusted aide to Chinese leader Xi Jinping, has been named to head the State Council Information Office, a central government press center that acts as the Chinese Communist Party’s (CCP) headquarters for international propaganda. Xu had been a subordinate to Xi when the latter was party boss of Shanghai. The appointment is the latest indication that Beijing is overhauling its news propaganda apparatus. Xu will be replaced as head of China’s internet censorship agency, the Cyberspace Affairs Administration, by Zhuang Rongwen, who is another of Xi’s confidantes from their days working in Fujian Province. The appointments, announced Aug. 21, follow recent state media articles that have included thinly veiled criticisms of the way China’s news propaganda has operated—and confirm some rumors that Xi was planning to clean up collateral damage from the regime’s mishandling of the trade war. 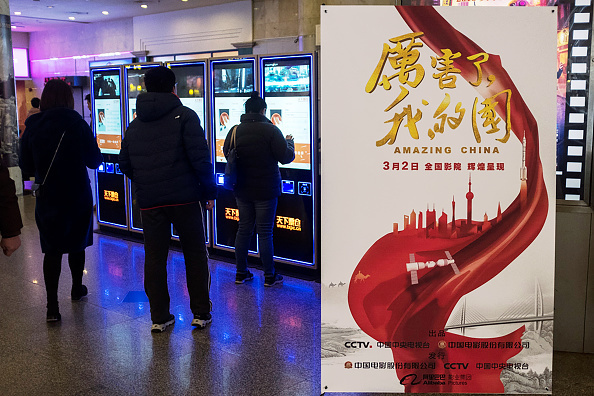 In recent years, the Chinese regime has been using aggressive rhetoric to describe its ambitions, including the production of several films boasting of China’s economic and military prowess. In addition, Beijing introduced its “Made in China 2025” economic policy, a sweeping plan for China to supplant global competitors in 10 key tech sectors—which alerted the U.S. administration to the regime’s motives. In imposing punitive tariffs on Chinese goods, the administration has pointed to the policy as evidence of Beijing’s plan to steal intellectual property to advance its national goals. In June, Beijing ordered state media to tone down mentions of the policy; senior officials think it was a mistake for leadership to have pushed the plan so forcefully and publicly because it increased pressure on China, diplomatic sources told Reuters. Then, for weeks, Xi’s name failed to appear on the front page of the party’s official newspaper, People’s Daily, even as online criticisms of Xi and China’s economic policies circulated widely. Rumors began circulating that an opposition faction in the CCP was displeased with Xi leadership, and that Wang Huning, a key political strategist believed to be the mastermind behind many of Beijing’s political campaigns, would face punishment as a result. The CCP’s dissatisfaction with propaganda surrounding the trade war and economic policies was displayed in recent state media articles. Propaganda personnel changes, along with the recent articles about how to properly do propaganda work, is evidence that the leadership “was not pleased at the way Wang Huning did [propaganda] work,” an anonymous scholar familiar with Beijing’s political circles told Radio Free Asia in an interview. The appointments signal a change in how the CCP would want to present itself, Patricia M. Thornton, a China expert at the University of Oxford, told the South China Morning Post. “There seems to be a general concern the self-congratulatory and hyper-nationalistic rhetoric featured in some corners of China’s mediasphere has resulted in blowback in the form of recent trade sanctions,” she told the Hong Kong newspaper.